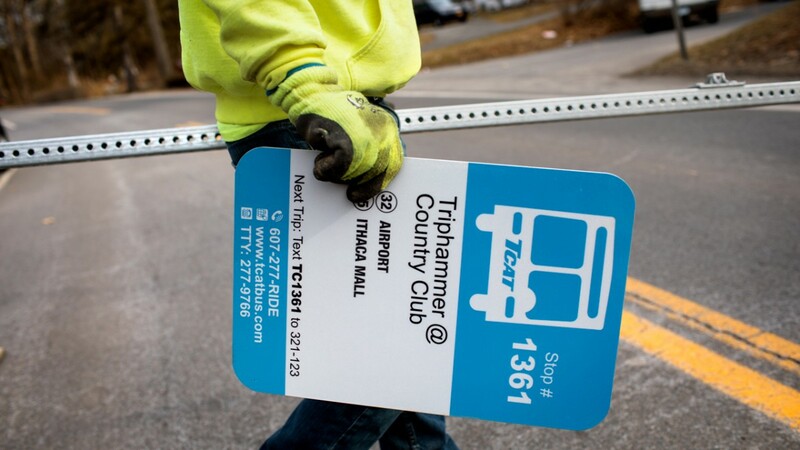 Students of the Cornell University Sustainability Design (CUSD) collaborated with the county-wide campus and regional bus system to redesign over 560 signs to incorporate responsive mobile phone text messaging to help riders understand routes and delays. The new signs are also compliant with the Americans with Disabilities Act. Through a partnership with Spin, a new bike-share program is now available to the campus and surrounding community. The program costs students and those within the USU community 50 cents for 30 minutes. Logan City will also be deploying up to 100 bikes soon. 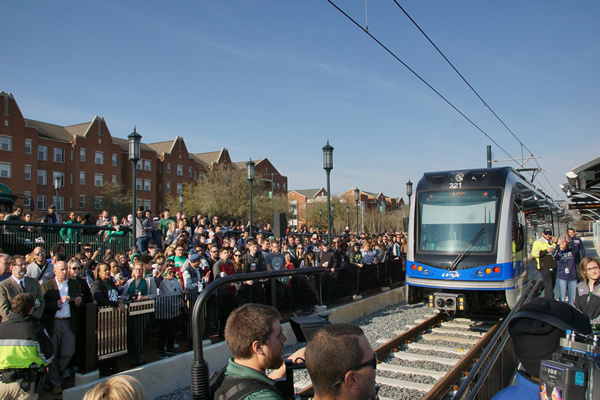 The 9.3-mile stretch of extended light rail tracks offers 11 new stations providing service to the university’s main and uptown campuses. The campus added sidewalks, crosswalks, and bus stations to support pedestrian traffic from stations. For the station on the edge of campus, the university funded a pedestrian bridge over a highway. Georgetown has partnered with LimeBike to make bicycles available at 12 locations across campus for students to rent at a discounted rate. 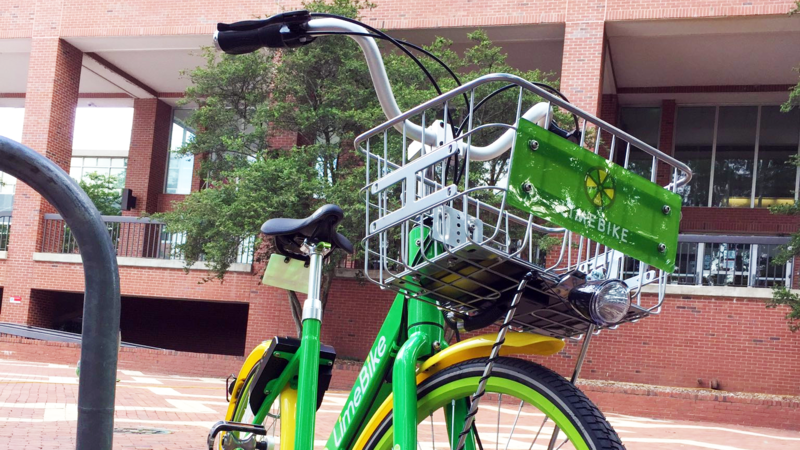 ECU has partnered with LimeBike to offer dockless bike sharing on campus. Texas A&M Transportation Services partnered with ofo to introduce 500 dockless bicycles to campus in early March. 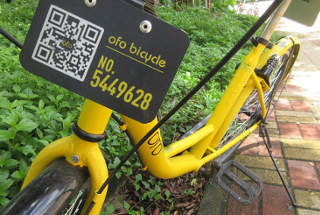 Next semester, an additional 4,000 ofo bikes will be introduced to campus. In an effort to meet the university’s evolving transportation needs, the university and Lyft formally announced a partnership to provide access to alternative commuter options, safe rides for students, patient transport, designated pick-up and drop-off locations, direct billing for business travel, and ride credits for certain university-sponsored events. In an effort to increase the number of campus community members using alternative modes of transportation, the university's Transportation Services now offers free personalized commute planning assistance. Partnering with ofo, a dockless bike-share company, the college has introduced a bike sharing option. Bikes are unlocked via smartphone, shared among riders and can be parked at any Claremont Colleges bike rack. The university will roll out a bike-share service to campus in March that will be free for short, two-hour trips and have a nominal cost for longer trips. Peppered throughout high-traffic campus areas will be 200 dockless Spin bikes that are equipped with a GPS and can be unlocked using a QR code. Riders pay 50 cents per 30 minutes or $14 per month. 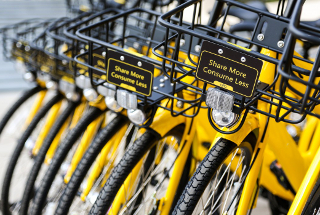 The college recently announced that it will partner with ofo to offer a dockless bike sharing program on campus. The system will provide free rides to Paul Quinn students for the spring semester. The official launch of UNC’s new Tar Heel Bikes program happened in late October, offering students the opportunity to rent a bike from one of 18 hubs on campus. The new bike-share program is one of the latest efforts in the university’s Three Zeros Environmental Initiative, which aims to reduce waste, water use and carbon dioxide emissions on campus. Developed in partnership with CycleHop, Bruin Bike Share will start with 130 bikes distributed at 18 hubs. 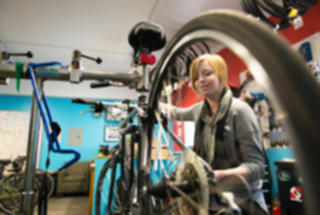 Cyclists can rent the bikes for $7 an hour or purchase a plan that includes 90 minutes of daily riding time. 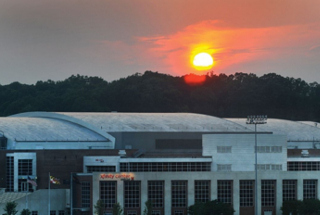 The program, a collaboration between Ole Miss and Gotcha Bike, will start with 50 smart bikes with seven hub locations. The university, in conjunction with the city of Arcata, launched the Zagster bike-share service to help students, staff and faculty get around campus and town while reducing their carbon footprint. The university has two bike stations while the city is planning to host four stations. A new regional bike rental program with four stations will soon be available to the campus community. A unique aspect to this service is the freedom to park bikes at either the service's hubs or at a public rack. 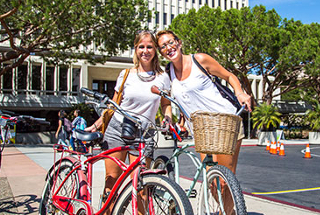 For as little as $1, students can now rent a bike from two stations on campus. University students and staff can now check-out one of two vehicles parked on campus through a university partnership with Zipcar. 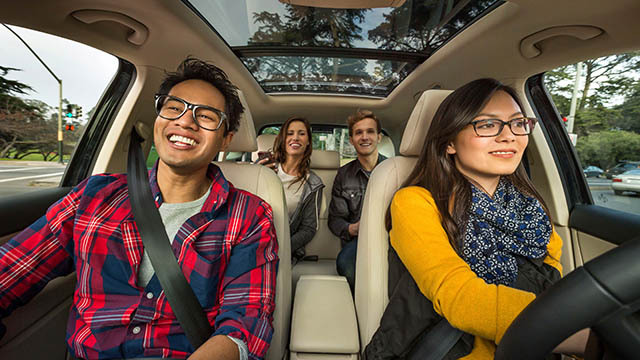 The car sharing program is part of a suite of alternative transportation options available to the campus community designed to simplify the process of shifting from driving a single-occupancy vehicle to campus to an alternative form of transportation, and to reward those individuals who make the change in their routine. 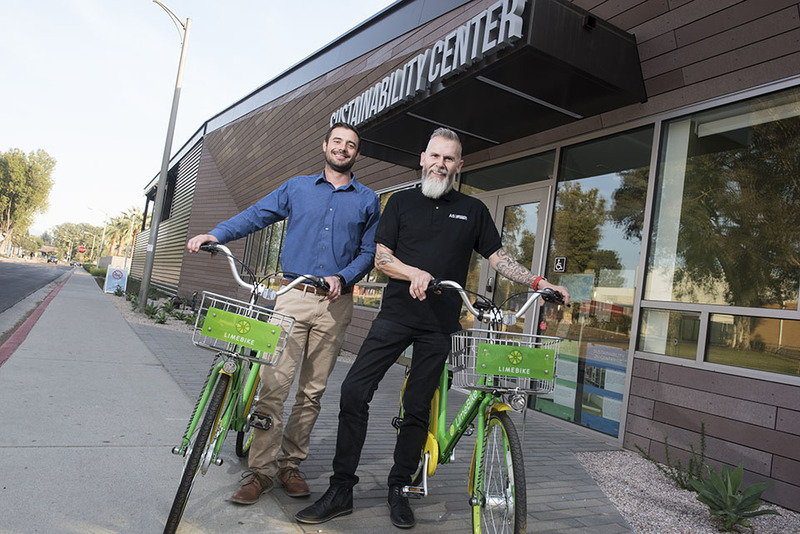 In mid-August, the university's transportation department started a pilot program with LimeBike, a bike-share service that will provide campus with 300 public bikes available for short-term rental. The university's Transportation Services and Zagster, Inc., have announced the launch of a new bike-share program that will open with 85 bikes across 17 stations for members to use for on-demand, local trips. The program will offers memberships for students, faculty and staff, and community members, as well as single-use rides for non-members. (Australia) The new autonomous, solar-powered bus will be used at the university's Tonsley campus. 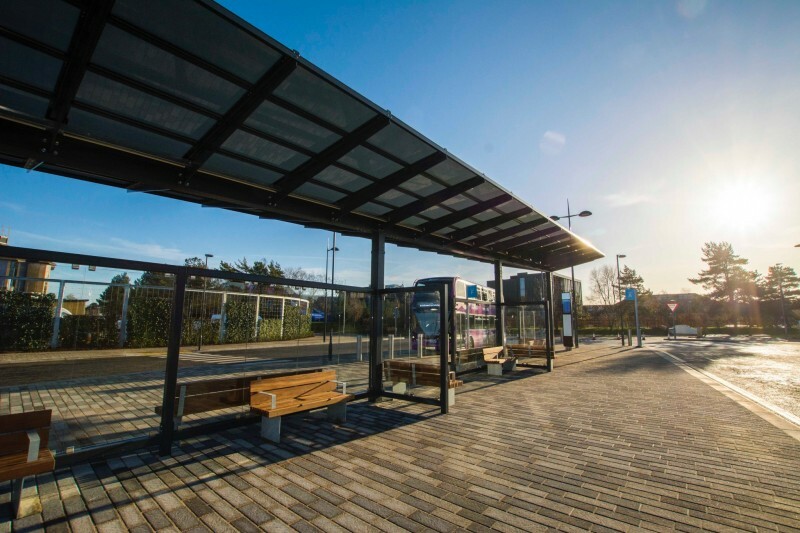 A 320,000 Australian dollar ($253,000) solar garage will be built, capable of recharging about six electric vehicles at once, including the new autonomous bus. The university won AU$1 million in state government funding to trial the autonomous bus technology, and will also use another AU$3 million from other investors to run the project over the next five years. (Philippines) In an effort to reduce the university's carbon footprint, the university began Carless Wednesdays, prohibiting the campus community and visitors from parking cars on university property each Wednesday. 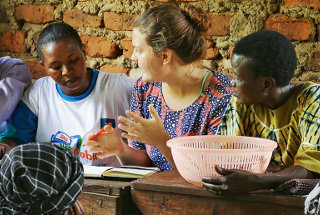 The Paradigm Project, an endeavor that benefits communities in Africa by empowering women and reducing greenhouse gas emissions through reduced deforestation, is the university's new investment to reduce emissions from study abroad-related travel. The Office of Sustainability announced that this is the first project in what will be a portfolio of offset investments aligned with certain remaining sources of emissions that cannot be fully managed through efficiency and other mitigation strategies. The first all-electric cars were recently added to university fleet operations. Four 2017 Nissan Leafs will be used in various campus operations, including one that employees can rent for university business. Partnering with Zagster to launch an updated and expanded bike-share program, Big Red Bikes Bike Share, the new program features 32 cruiser bikes available at five locations around campus for riders to check out for on-demand, local trips. The university's Transportation Services has launched a pilot program to give $200 each to up to 200 qualified employees who agree to forgo bringing a motor vehicle to campus for one year. The goal of the program is to reduce the number of motor vehicles on campus and create a more pedestrian friendly community. The university's Steam Plant has begun reducing greenhouse gas emissions from their operation by fueling their semi-truck and front-end loaders with a 20-percent blend of biodiesel made on campus from used cooking oil from Dining Services. 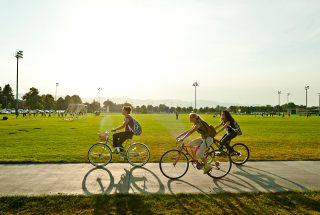 In an effort to reduce the negative impacts from automobile trips and parking, including impervious surfaces, emissions, and the heat island effect, the new plan encourages cycling on campus by proposing dedicated bicycle paths, shared multi-use paths, and establishing bike lanes on existing streets. In order to provide an alternative mode of transportation on campus, A&M Transportation Services contracted with Zagster to implement a bike-share program, a 24-hour service intended to help the campus community get around quickly, efficiently and inexpensively on the 5,200-acre campus. The bikes are checked out for a small fee using smartphone technology or text messages with regular cell phones, and are equipped with safety lights, internal gears, a lock attached to the bike, front basket and bell. There are 75 bikes on campus and 10 racks. 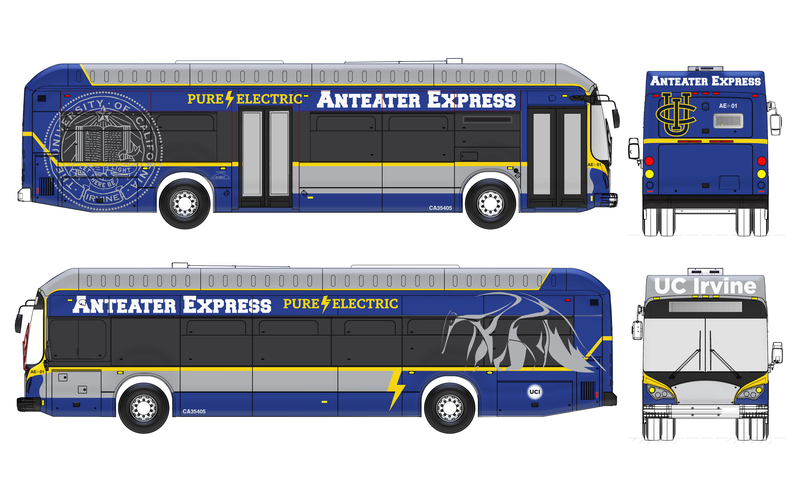 The student-funded and -operated Anteater Express shuttle service is acquiring 20 all-electric buses to the tune of $15 million. The buses will roll onto campus for the 2017-18 academic year, joining a hydrogen electric bus, to provide more than 2 million pollution-free rides annually. Undergraduates voted to pay up to $40 per quarter to the Associated Students of UCI to cover the bus purchase. The art museum recently purchased solar panels to power two low speed vehicles for staff use. Inspired by the upcoming 2018 exhibition, Nature's Nation: American Art and Environment, the project was funded out of a university sustainability fund, High Meadows Foundation Sustainability Fund, a mechanism that provides money for campus sustainability projects, with an emphasis on measurable outcomes and culture change. The bike-share program, hosted by Zagster, allows university community members to access its bikes through the download of its mobile application. Rental of a bike is free for the first two hours, with the remainder of rental time costing $1 per hour, with a $6 per day maximum. As of November 2016, there are 25 bicycles at five racks across campus, and in early January that will grow to 70 bikes at seven locations. Students, faculty and staff can receive one free hour of bike time per day, or can pay an annual $25 fee for four hours of daily use. 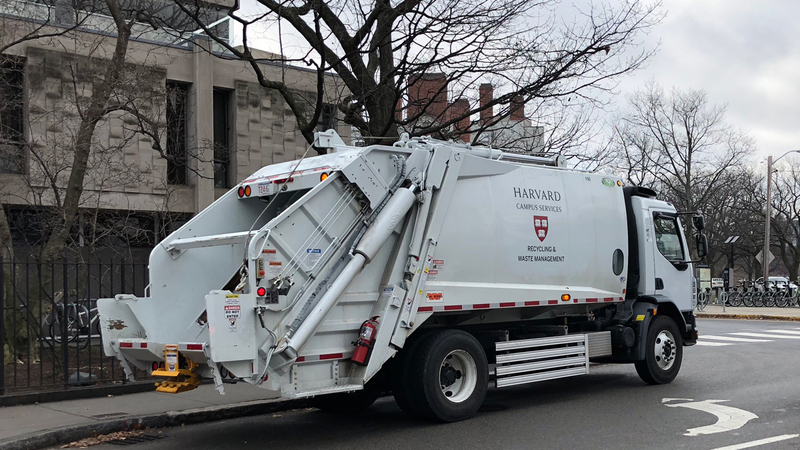 A new partnership with Zipcar now allows campus and surrounding community members to check out one of two vehicles on a daily or hourly basis. 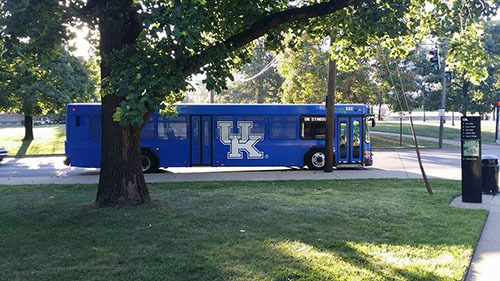 This additional transportation option for students and employees is an alternative to bringing a car to campus. Initiated by the Texas A&M Transportation Institute and Texas A&M Transportation Services after conducting a campus bike study that concluded in 2015, one of the campus' busiest intersections now has photo-luminescent paint to illuminate the bicycle lane to ensure safety amongst cyclists, motorists, vehicles and pedestrians as well as amplify protection and mobility. The solar-powered paint will store energy during the daytime and emit the light at night. 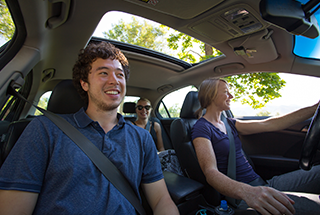 A service of Enterprise Rent-A-Car, Zimride is now being offered to the campus community. Zimride, an online ride matching service that connects drivers and passengers heading to the same area, helps reduce vehicle emissions, traffic congestion and fuel consumption while splitting transportation costs.